NOTICE: MEGAMETALMUSIC.COM IS CURRENTLY UNDER CONSTRUCTION AND WILL BE COMING OUT WITH A NEW LOOK SO KEEP US BOOKMARKED!! SORRY IT HAS BEEN SO LONG SINCE ANY UPDATES BUT MY FAMILY AND I WENT THROUGH HURRICANE KATRINA AND LOST OUR HOUSE AND EVERYTHING IN IT, OUR CAR, JOBS...EVERYTHING! WE ARE STARTING OVER NOW AND WILL HOPEFULLY BE BACK TO KEEPING UP THIS GREAT METAL SITE. Check out the For Sale and Wanted page for used cd's, cassettes and other music related items! 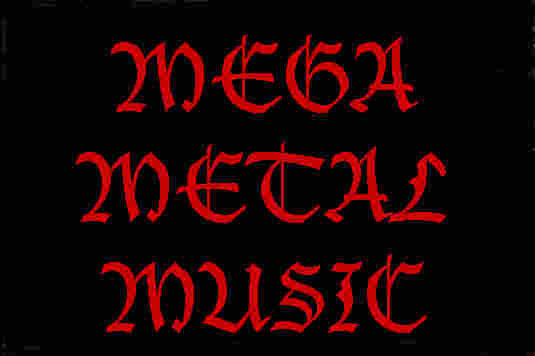 MetalView's Top 100 Sites--Go and vote for Mega Metal Music!! THANKS SO MUCH FOR THE AWARD! IT'S OUR FIRST. This site is maintained by PsychoAngel and The Trooper. Email us with any comments.